Earlier this year, a little studio know as Two Point Studio surprised us with the reveal of their brand new project, a genre that hasn’t been seen for quite a while since Theme Hospital in 1997, also known as a Sim Hospital game. 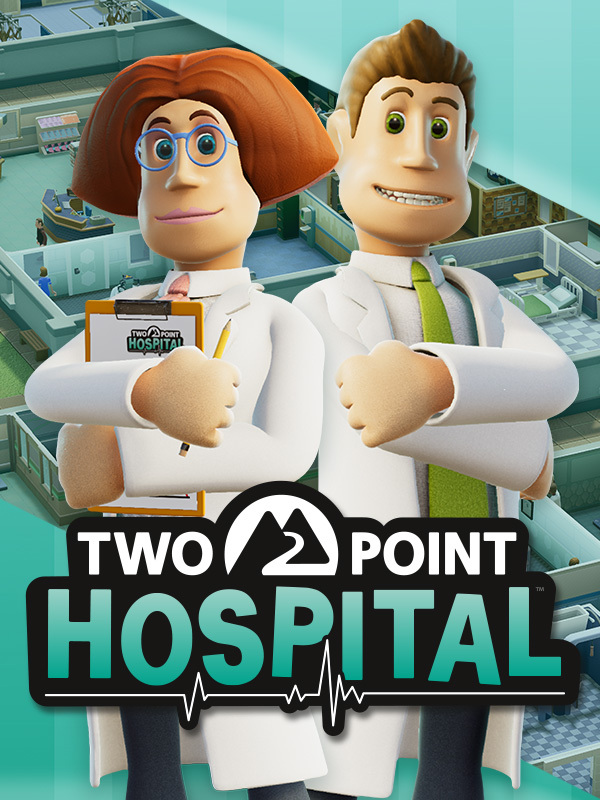 Announced as Two Point Hospital, the developers are all ex-Bullfrog and Lionhead Studios having worked on the “spiritual” prequel and wanted to bring back the genre to the modern days, with some updates on its neat mechanics and silly parody on the health industry. From the beginning of the game, we are tossed into a tutorial hospital where we are taught the basics of the game. This simple starter hospital will have you install a reception, GP office, hire staff and of course treat your first patients. If at first, the game seems simple enough with its basic menu, there are still a lot of hidden tasks that you must know how to master. The principle of the game is rather simple: the more you play in the game, the more you unlock other hospitals in other parts of the country, where your reputation and prestige will be all the more important. And for that, you’ll need to train your staff, research and discover new diseases, as well as finding new cures and remedies, so that you can cure thousands of patients and profit! After all, the health industry is quite the behemoth even in real life. The evolution in the game is quite fast and you will get to other hospitals quite fast, but that comes with an increasing difficulty. If Two Point Hospital is still quite repetitive at first glance, new elements are added little by little as you advance such as new rooms unlocked, and challenges to beat. You will soon enough realize that everything can be quickly overwhelming for a Hospital manager. Like I said, if the the menu seems simplistic at first glance, there are plenty of things to discover and with which you can use for your advantage. For example, you can manage your staff from the interface, such as negotiate their salaries, give them a regular break time (or not) and have a quick glance at their happiness and energy. The same goes for patients, where you can see how many were treated, how many died (it happens after all), as well as your hospital reputation and cure rate. But what would be a management game without the financial aspect! It is the same for this one, monitor your expenses closely and look at your profits and losses, as well as the number of loans taken. On top of the management aspect, there’s also challenges to beat as noted before! While most will be offered by your staff or by hospitals, these tasks will grant you a currency known as Kudosh so you can unlock some nice items to decorate your hospitals like special energy drink dispensers, or payphones, coloured benches and more. While most of these small challenges come and go, each hospital has a core main challenge that are the most important and the rewards are even greater. In addition, you will not only earn Kudosh but also a lot of reputation points and money, which will allow you to boost your hospital rank and attract more patients. But if you think that Two Point Hospital is a management game like any other – such as Sim City – where you juggle between your financial burdens, your staff, and patients to manage, then you are mistaken. What stands out greatly with this game, was one of the winning factors of its inspiration – Theme Hospital – is that the game is full of humour. The illnesses of your patients are a parody of their own, like the Mock Star disease, which sees people afflicted with a disease that makes them believe to be one of the greatest rockstars the world has ever seen (Freddy Mercury in this case). There’s also other ones, like people afflicted with the Light Headed disease, which is diagnosed by a lightbulb for a head, and will need to be unscrewed and replaced by a real head. There are so many diseases and treatment tools that will make you smile, topped by the daily interactions and personalities of your staff and patients in general inside your hospitals. When it comes to technicalities of the game, Two Points Hospital is a bit similar to its spiritual predecessor for the modern days. With its cartoon-ish theme and colours, the developers have clearly hit the spot on that front, but don’t expect rich details like one of Maxis’ games. Nevertheless, it works, especially thanks to the fun soundtrack and radio RJ that plays in the background. At least, you’ll be happy to know that almost any recent laptop or basic PC will be able to run the game decently, as I tried it on both a simple Surface Pro 3 PC with Intel Iris GPU as well as a stronger DELL XPS with an NVIDIA GeForce GTX 1050 Ti Max-Q GPU (more details of the specs in the editor’s note at the bottom). In the end, Two Point Hospital is, in my opinion, one of the best simulation-management games of the year, thanks to its humour, visual direction and challenging gameplay. If you’re into these kinds of games, or a fan of Theme Hospital, then don’t hesitate to grab it quickly, as it’s everything I wanted from a spiritual sequel. Two Point Hospital was reviewed using a PC downloadable copy of the game provided by SEGA. The game was tested on a PC running Windows 10 Pro, with a 4GB NVIDIA GeForce GTX 1050 Ti Max-Q GPU fitted on an 8th Generation Intel i7 8750HQ 2.2Ghz CPU and topped with 16GB of RAM, as well as a Surface Pro 3 for touchscreen gameplay. We don’t discuss review scores with publishers or developers prior to the review being published (click here for more information about our review policy).